does this support live t.v? plz tell is there any blacklist option in this phone??? Anonymous, 19 Jun 2013Good news for the user of nokia asha 305.update available for download via both nokia suite an... moreplz tell me about adobe flash player how to dwonload..
very bad:-/ getting switched off and hangs frequently..
Good news for the user of nokia asha 305.update available for download via both nokia suite and FOTA.Latest software update available for your nokia 305 is 7.35. 5.Updated versions of Chat and Mail apps. Only available via Nokia Suite. 6.New eBuddy, Twitter, and Facebook apps. 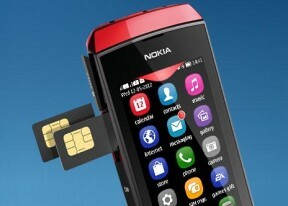 Available via Nokia Suite and Nokia Store. Please tell me how to download adobe reader for Nokia Asha 305?